There will be packet pickups and registration at Fit2Run in St. Pete and Tampa the weekend and weeknights before the race, as well as on race morning at Fort De Soto. See the packet pickup schedule here. 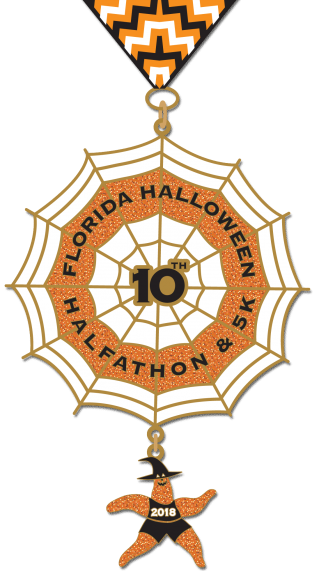 Join us for a howling good time at our 11th Annual Halloween Distance Classic Halfathon, 10K (new!) & 5K Race in Ft. De Soto Park scheduled for Sunday, October 27th, 2019 at 7:05 a.m. Costumes encouraged! Create unique costumes in the spirit of this festive holiday, but ones that will not adversely affect your performance. Or simply wear mismatched uniforms. Or orange and black.